Unforgettable Zimbabwe... Thank you soooo much!!! wonderful time there and we really enjoyed every single moment of our stay. the "container experience" and the village tour. Thank you again my dear friend and all the best to you and your family! Comments for Unforgettable Zimbabwe... Thank you soooo much!!! Thank you to for taking the time to send us some feedback on your activities and accommodation in Vic Falls and Hwange – it is great to hear back from our clients and it definitely makes the job worth well to hear that you enjoyed it so much. 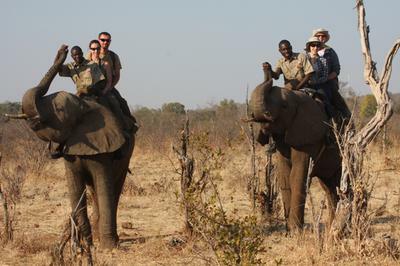 We really look forward to booking you again in the future on your next trip to Vic Falls!